If you haven’t heard about Goldfish Swim School yet, just you wait. My guess is this place is going to be popular! 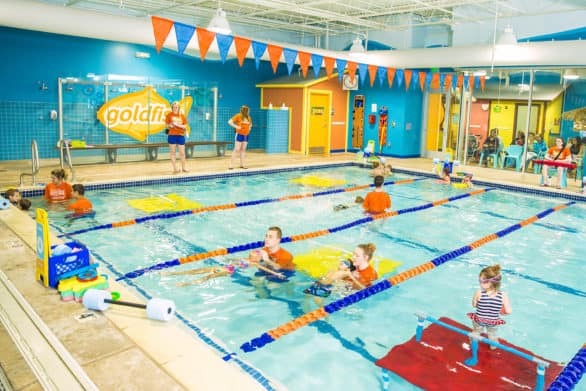 Goldfish Swim School is opening in West Omaha this spring, and I’m partnering with them to share the details. Keep an eye on the Oh My! Omaha Facebook, Twitter & Instagram pages – I’ll have a giveaway coming up AND I’ll be sharing pictures from the new location once my kids start swim lessons. Disclosure: This post is sponsored by Goldfish Swim School. All thoughts, opinions and typos are my own. 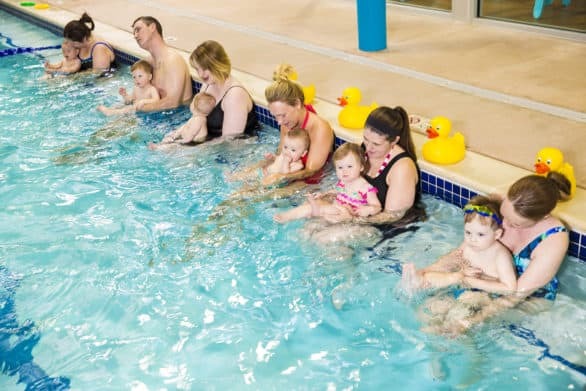 I had a chat with April Cavender, the general manager at Goldfish Swim School West Omaha, and she shared why this particular swim school is unique: Comfort. She said the environment is comfortable for everyone. And Cavender knows what a difference it makes with something as simple as being comfortable. Her kids were competitive swimmers, so she spent hours poolside in all sorts of conditions. She recalled how usually she was either really hot and really cold. That’s not how it is at Goldfish Swim School. 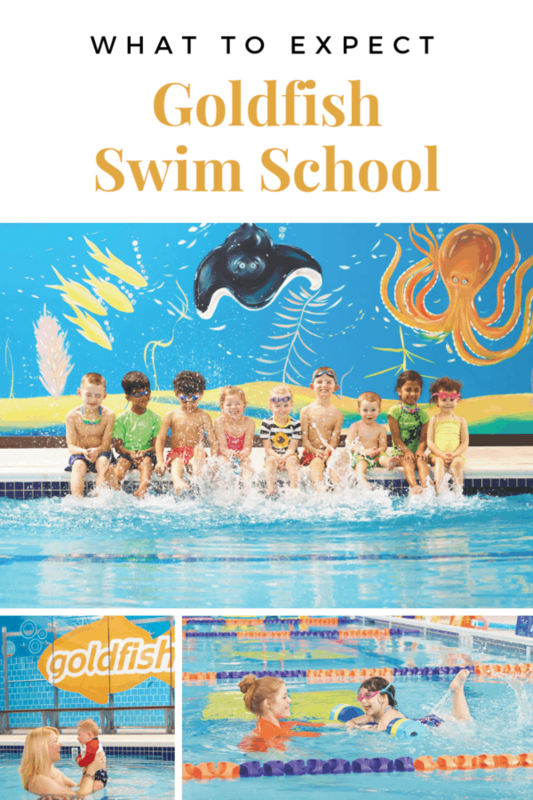 Swim instruction at Goldfish Swim School is for children ages 4 months to 12 years old. Lessons are designed for the busy family, so schedules are flexible. Plus, it’s easy to schedule a makeup session. Lessons are indoors and year-round with highly-trained instructors. There are also options for private lessons. Shiver-free 90-degree pools. It’s all about being comfortable in the water. Perpetual lessons. Perpetual lessons means families can enroll at any time. Comfort is king. They think of the parents and keep them comfortable. The viewing gallery for parents is air-conditioned. Spacious family dressing area with private changing rooms. 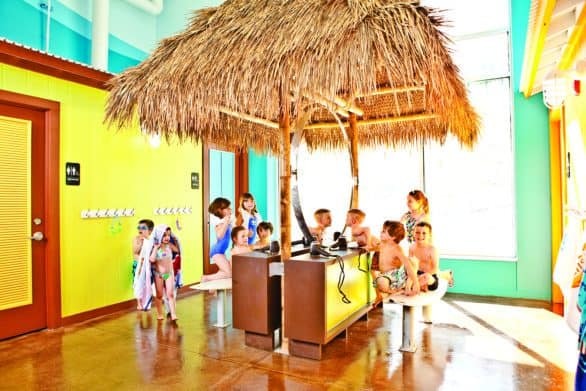 Plus, there’s a blow dry bar to making it convenient to get kids ready to head home. Super cute decor. They’ve got a tropical theme going on at Goldfish Swim School. There’s even a snack bar. Community-minded. Cavendar told me how parents with kids in Goldfish Swim School feel like they’re a part of a community. But in another sense, the swim school maintains community involvement outside of the facility. “The community aspect is extremely important,” said Cavender. Don’t be surprised if you see representatives from Goldfish Swim School at fun runs for kids or involved in other types of events related to health and safety. Registration is now open! 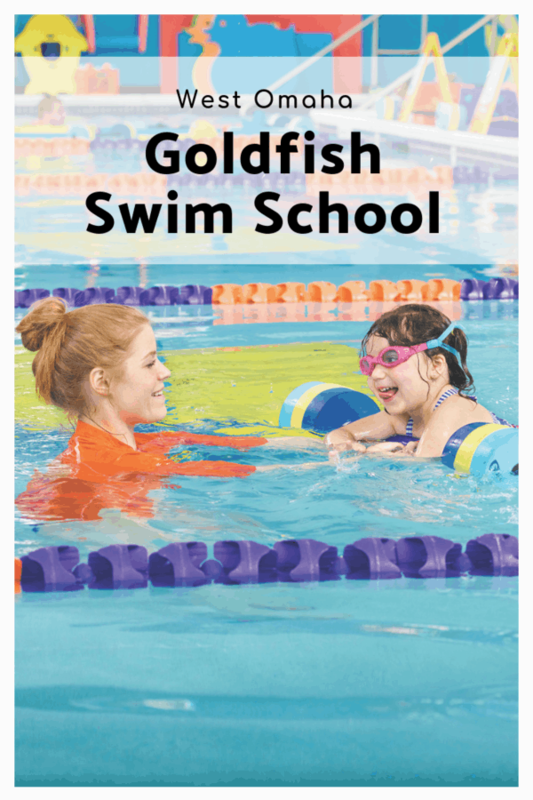 You can enroll for swim lessons at Goldfish Swim School here. Classes will begin in early March. Enrollment is $84 for lessons per month, perpetual fee plus annual membership fee is $25. Families never pay more than $40 for the membership fee, so if you have two kids, it’s capped at $40. With your enrollment, your child receives a swim goodie bag that’s age-appropriate. For instance, infants will have a swim diaper in their goodie bag. Each week, swimmers earn a prize following lessons. I can see how that would be totally motivating for my kids. In addition to swim lessons, has a few more offerings you should know about. Community Grand Opening – Mark your calendars! 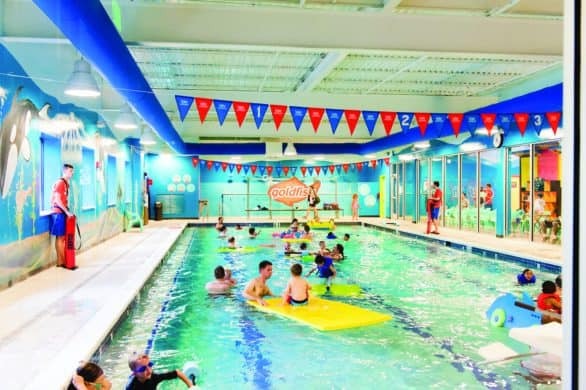 The pool will have a FREE Grand Opening event on March 30 from 2 to 5 p.m.
Golden & Charter Memberships – For the cost of six months of swim lessons (Golden Membership) or one year of swim lessons (Charter Membership), you receive some perks. Golden Membership holders receive 50% off a two-hour private party and a six-month Family Swim pass. Charter Membership holders receive a free private two-hour party, a one-year Family Swim Pass, and a tile on the Charter Membership wall. The Golden and Charter Memberships are only available for purchase prior to opening and the first three months of business – so don’t wait if one interests you! Family Swim – The open family swims are usually held in the early afternoon between the morning and afternoon swim lessons. The pool has toys to add to the fun. Family Swims are open to the public. If you have a membership, you’re admitted free on weekdays. Otherwise, it’s $5 per person or $15 per family maximum. 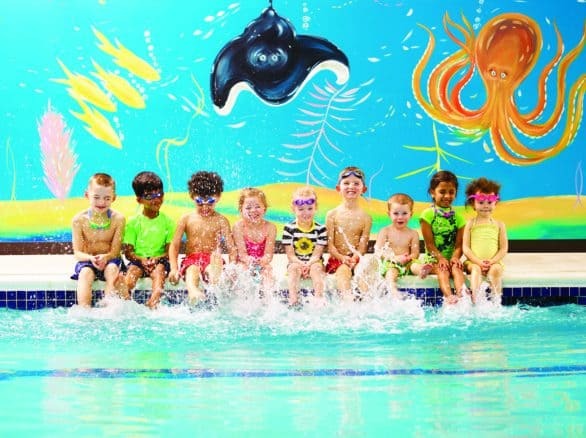 Party packages – You can celebrate a birthday at Goldfish Swim School. Imagine having a tropical party in Omaha!